Home / News / Prabhas20 to release before Sankranthi 2020? Prabhas20 to release before Sankranthi 2020? Prabhas is busy juggling between the sets of Saaho and his 20th film with Jil director Radhakrishna Kumar which is tentatively titled Jaan. 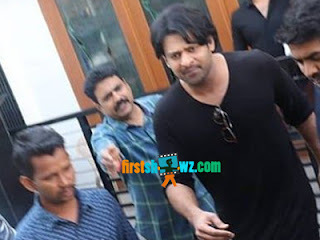 After a long gap, Prabhas is arriving to theaters with a romantic entertainer in the form of Jaan. What's more interesting is that Jaan is set in period backdrop, and the film is shot in exotic locales of Europe. Pooja Hegde plays his lady love. Prabhas20 was initially planned for a release for Sankranthi 2020. However, the makers are now in plans to pre-pone the release to the month of December. This is indeed good news to all Prabhas fans, as their Young Rebel Star will have two back-to-back releases in 2019. An official announcement regarding the release date is waited though. Prabhas's Jaan is a high budget entertainer being produced jointly on Krishnam Raju's Gopikrishna Movies and UV Creations banners while the music is by Amit Trivedi.